Health Tips - Self Cure - Home Remedy: We Have Our Own Domain [atchayapaathiram.com]!!! We Have Our Own Domain [atchayapaathiram.com]!!! 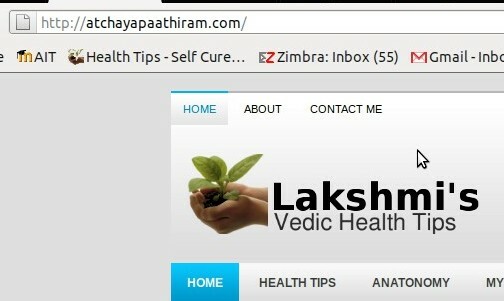 Here we are happy to inform about the new domain registration for www.healthtips-lakshmi.blogspot.com. Our souls always sings a song for you all viewers!! !